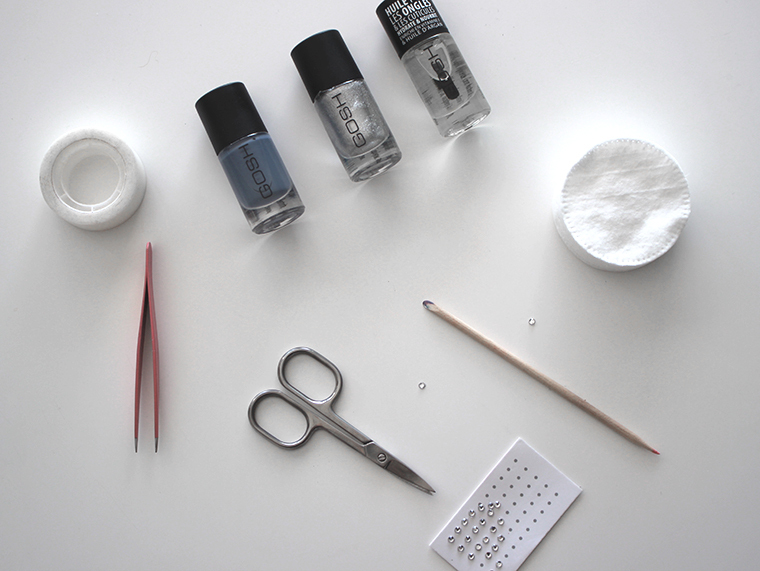 This week I decided to bring you a super simple and easy nail art suggestion, even for clumsy lazy girls like myself. Apply the base. I usually apply this nail & cuticle oil that I like very much. Aplicar o verniz na cor escolhida. Aplicar uma segunda camada (e uma terceira, se necessário) e esperar que seque um pouco. 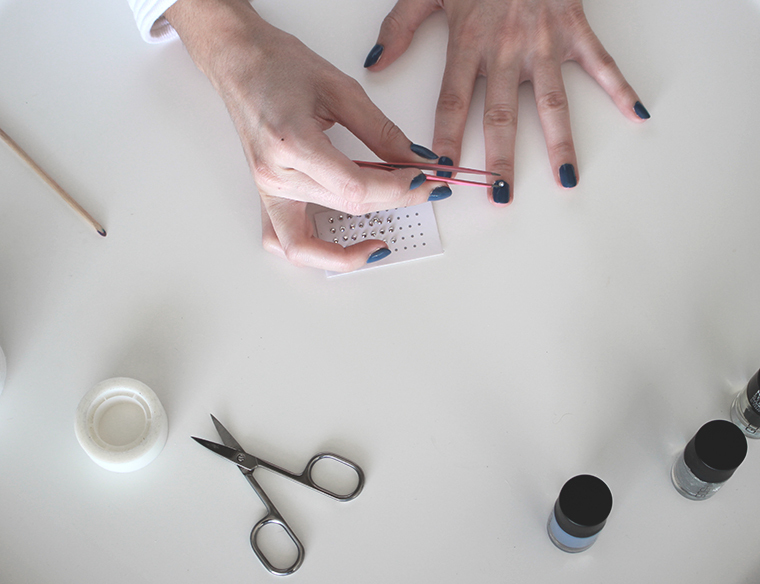 Apply the nail polish in the chosen color. Apply a second coat (and a third one, if needed) and wait for it to dry a little bit. With tweezers (helps you to be accurate), apply a rhinestone in every nail, except in the ring finger(s) (one or both, as you prefer). Reaching this step, we have two options for the ring finger in which we didn't apply a rhinestone. Option A: subtile french manicure with the metallic nail polish. Option B: protect half of the nail with adhesive tape and paint the other half with the metallic nail polish (the previous nail polish has to be completely dry). 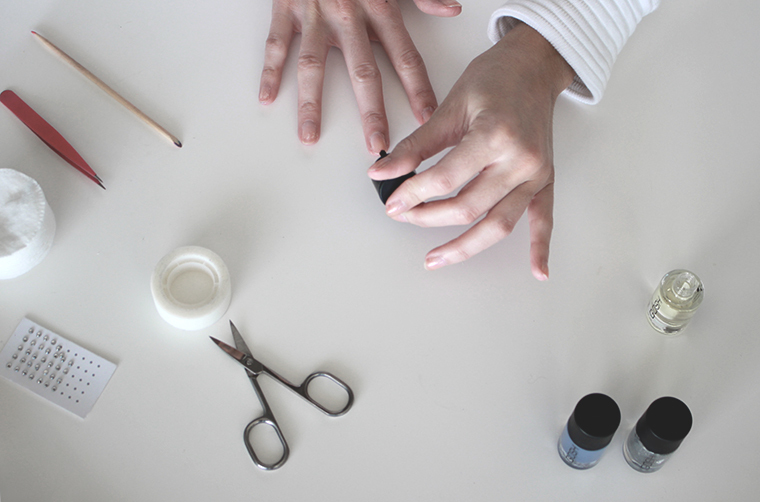 Finish it, applying a top coat in every nail. It adds an extra shine, makes the nail polish to last longer and helps to fixate the rhinestones. I actually ended up going for option C, since A and B didn't really turned out like I expected :p I didn't have the time to wait for the blue nail polish to dry, so I had to improvise and painted all of the ring finger nail with the metallic nail polish. Ficou mesmo giro o resultado! Beijinhos e boa semana querida! Que bem! 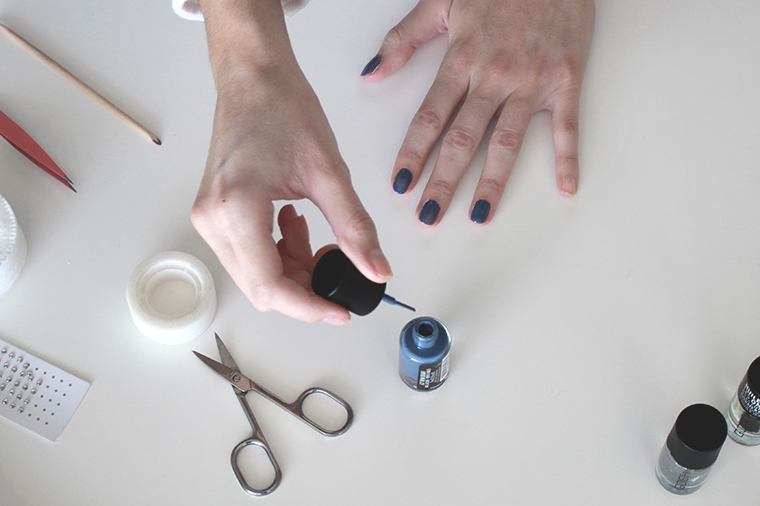 Também gosto mais das unhas todas iguais - e a prova é que nem tenho jeito para outra coisa, ainda este fim de semana tentei fazer uma coisa diferente para o blog e...desgraça total ahah :p Mas nunca me tinha lembrado das pedrinhas! Fica tão bem! Já tinha visto no instagram e adorei! As unhas estão lindas! 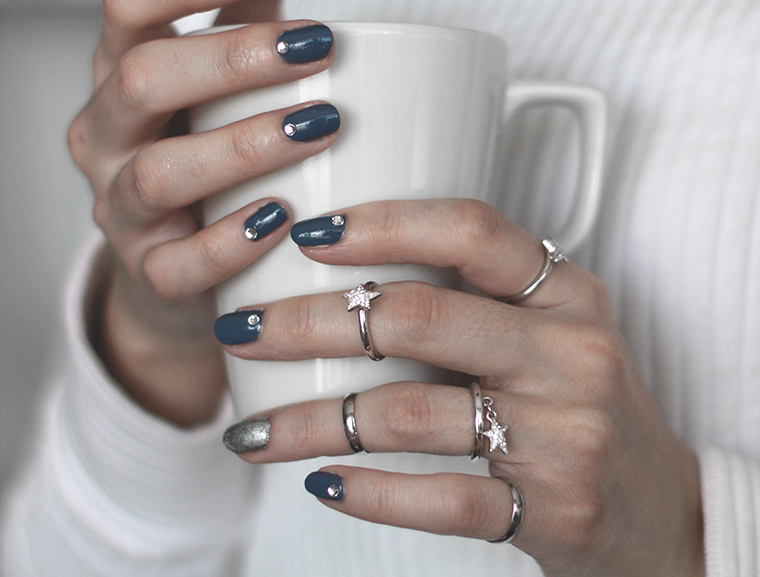 Great... perfect with the starry rings! Gosto muito =) pessoalmente também optaria por usar as unhas todas da mesma cor e colocar apenas o brilhante como detalhe! perfect nails baby!! adore them! Adoro, adoro, adoroooo o resultado mas isso nas minhas mãos ia durar duas horas ahah!